Poet, playwright and radio raconteur James Watson (Jim) Webb, 73, of Whitesburg, died on Monday, October 22, 2018 at his home on Pine Mountain. He was born September 24, 1945 in Jenkins, Kentucky to Watson Caudill Webb and Esther June (Salling) Webb. He spent much of his early childhood in Shadyshide, Ohio before returning to graduate from high school in Hazard. He took a BS in Biology from Berea College and an MA in English at Eastern Kentucky University where he co-founded the literary magazine RECK. He taught English and Appalachian Studies at Southern West Virginia Community College where, after the Great Central Appalachian Flood in 1977, he co-founded the Tug Valley Recovery Center to support relief and recovery efforts and he helped establish The Sandy New Era, the weekly newspaper where his commentaries under the pseudonym of “Wiley Quixote” first appeared. It was during this time that he published the anthology Mucked, seen as a turning point in the nascent Appalachian Literary Renaissance. He took Wiley Quixote to the airwaves in 1985 on WMMT-FM, the community radio component of Appalshop where, among many programs he produced, his Wednesday program “Ridin’ Around Listenin’ to the Radio with Wiley Quixote” was heard around the “whirled” for 33 years. Along with his brother, Robb Webb, they founded the literary journal Pine Mountain Sand & Gravel, now the official journal of the Southern Appalachian Writers Cooperative (SAWC) after his return to Whitesburg in 1984. His poem, “Get In, Jesus” has been called most famous poem in Appalachia, widely distributed on T-shirts, a literary anthology and his collected poems of the same name. He authored the play Elmo’s Haven and his poetry was published in nearly every major literary journal in the region. 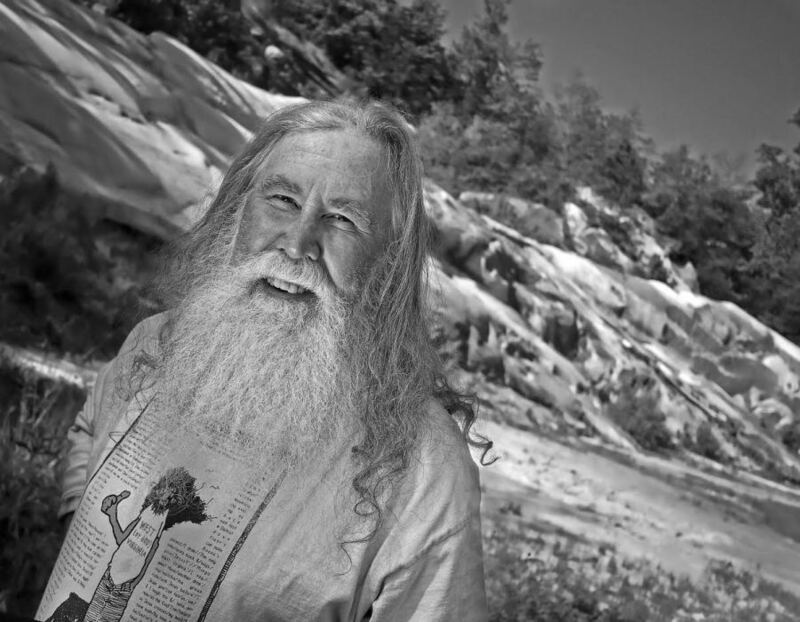 Jim was an ardent supporter of local artists, musicians, community activists and writers and a lifelong defender of the people and the mountains. He was active with the Southern Appalachian Writers’ Cooperative, Kentuckians for the Commonwealth, Appalachian Voices, the Appalachian Studies Association, Rotary Club, the Letcher County Tourism Board, the Right Angle and the Otis Campbell Society. He hosted the annual Pine Mountain Lawn Ornament & Pink Flamingo Soiree at his home atop Pine Mountain for 33 years. He is survived by his companion, Katie Eagle; his daughter Aerin (Eddie, Jr.) Ayers and grandson Riley Ayers of York, South Carolina; a brother Nelson Robinette (Robb) Webb (Pat De Rousie-Webb) of New York City, a niece Allison (Donald) Willcox, great nephew Michael Willcox and great niece Sara Willcox of Annandale, Virginia. He was preceded in death by his parents and his grandparents Nelson Robinette (Catherine Spangler) Webb and Henry William (Lettie Webb) Salling. He leaves behind a legion of friends, colleagues and fans across the region. Friends may call at the Heritage Kitchen in Whitesburg Thursday and Friday evenings (November 1st & 2nd) 6-9pm. A celebration of Jim’s life will take place there on Saturday, November 3rd from 5:00-10:00pm. Montani Semper Liberi.